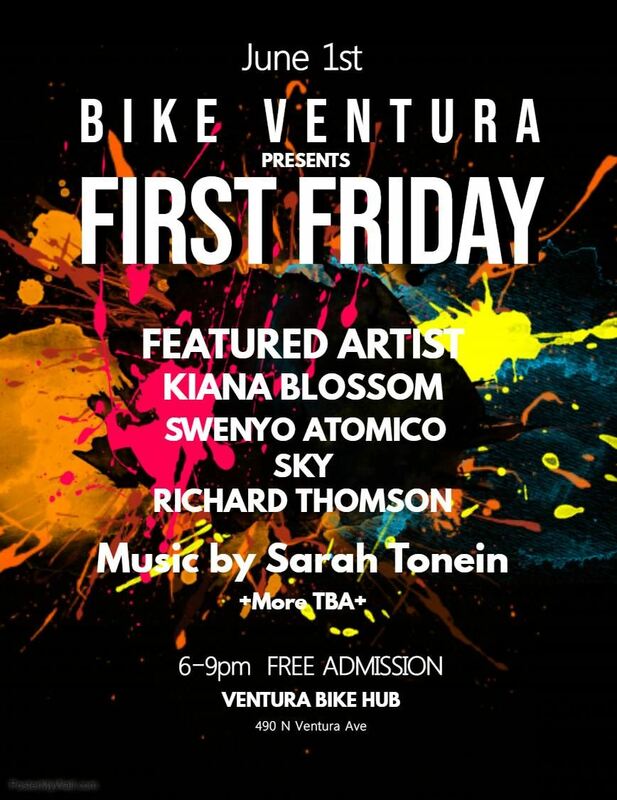 Bike Ventura presents yet another, FIRST FRIDAY! Come and listen to live music, view beautiful local art, and meet your neighbors! This month our featured artist will be Kiana Blossom! As always The Bike Hub is a sober and safe space.